Whether you are in industry or simple car loving individual, it is always important to be prepared. Our hail forecasts have proven for the past 8 years to be reliable and accurate based on a hail risk model approach. What are hail risk forecasts? Hail risk forecasts merely are a text based product sent via email or sms if required to alert you to possible hail occurrences on that day in your region. Graphical products are also available if required for a slightly higher pricing. We do provide services specially taylored to the business sector and highly recommend these services that include both graphical and radar forecast algorithms. Such forecasts assist in providing some form of lee time based analysis required for businesses to plan for both daily activities up to 48 hours ahead of time. Feel free to ask for a quotation that best suits your needs. On the 10th December 2014, a giant hailstone was measured after dropped out of a violent supercell on the Putty Road north of Sydney. 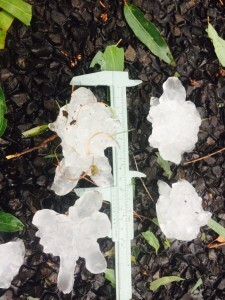 Countless hailstones of the order of 8cm lay on the ground in the area. One motorist was seen stunned after the probably exiting the storm. Some useful hints and hailstorm information. Hail is a form of precipitation that falls in the form of ice. Hail can range in size from the size of peas to the size grapefruits – roughly 12cm in diameter. 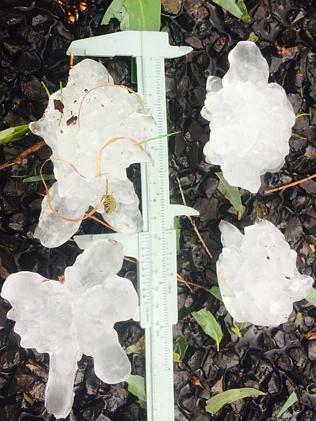 But how does hail grow to such a size? How does a hailstorm form? 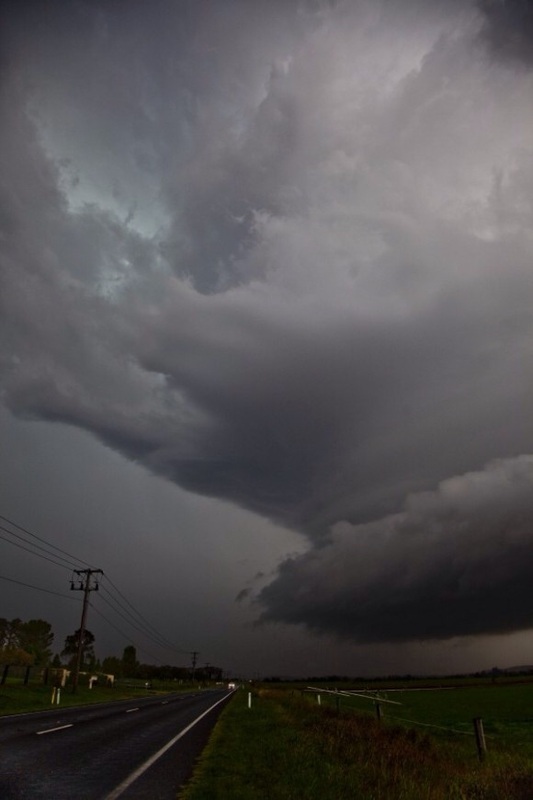 When thunderstorms develop with solid updrafts within very unstable environments, in the right conditions hail can fall into the updraft and get dragged up several times – each time growing another layer of ice – similar in structure to onions. If the storm is particularly powerful, the updrafts are able to sustain or recycle much larger hailstones. 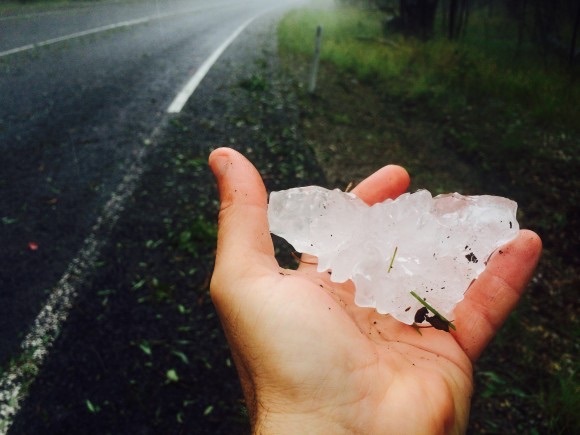 What are the worst hailstorms? 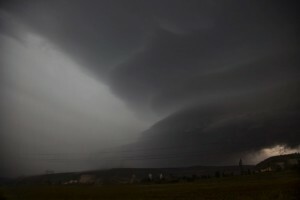 The most powerful storms that are more likely to be able to achieve this are supercells. Supercells are storms with persistently rotating updrafts. Supercells are also storms that are long lived and virtually self sufficient in that they drive their own circulations and updraft and downdraft combinations. Their structure are also designed efficiently in that the updrafts do not compete with the downdraft. This is why they are able to sustain themselves for such a long period of time. Supercells are known to produce most of the known giant hail events. More often than not, when they hit metropolitan areas, the damage produced often runs into the tens or hundreds of millions of dollars. Recent studies have also suggested that storms that have supercell characteristics but are not supercells by pure definition can also produce giant hailstones! Hailstones are very interesting to look at! When observing them, scientists can observe an onion shell layer structure of the hailstone. These layers develop because the hailstone grows as it rises and falls within the updrafts. As the hailstone moves up and down, it comes into contact with many other water droplets within the cloud and grows further and then freezes beyond the freezing layer! Why do hailstones have different shapes? Hailstones also form different shapes. In fact, it is often a great way to know what is happening within the storm environment. 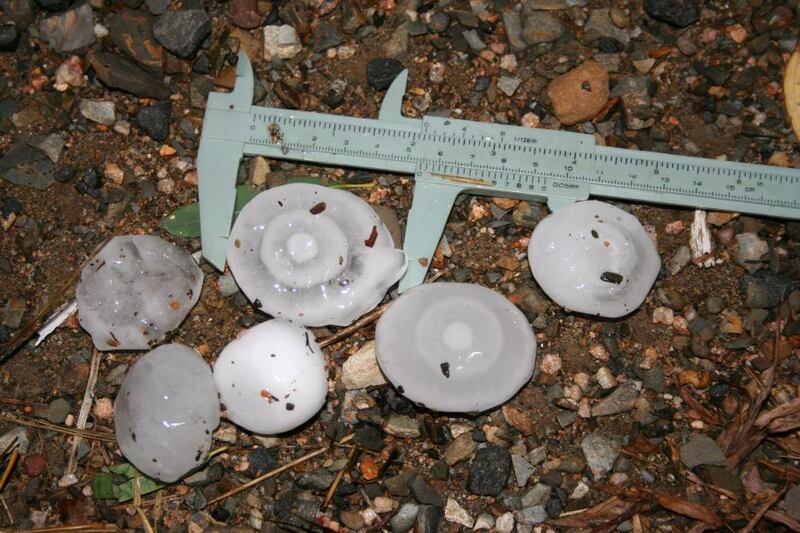 Hailstones shaped like torpedoes and also with spikes tend to be involved with turbulent activity. It is believed that melting may be involved and refreezing which explains the spikes. 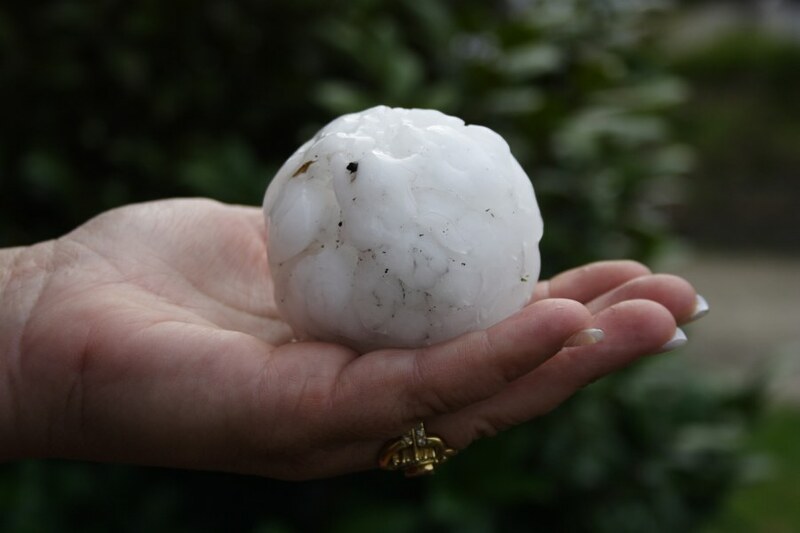 Hailstones particularly giant hailstones can leave severe destruction. 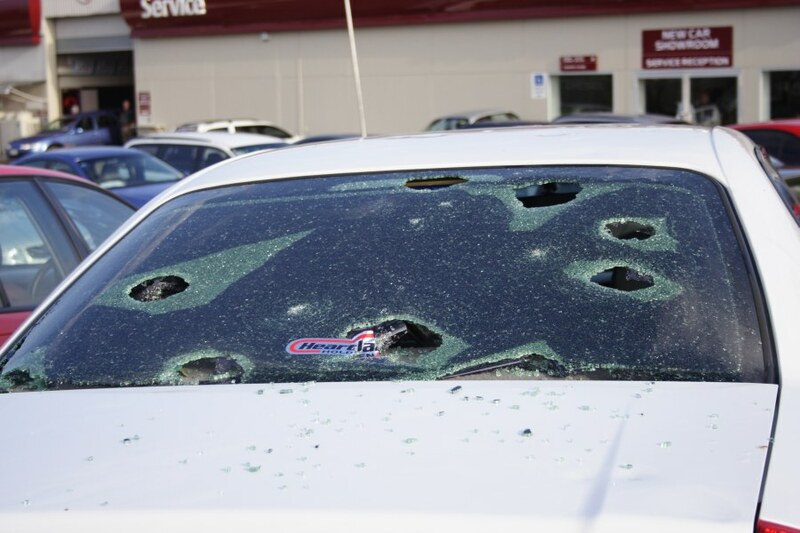 Such hailstones can puncture the windows of cars (this one occurring during the violent hailstorm that hit Blacktown in 2007). 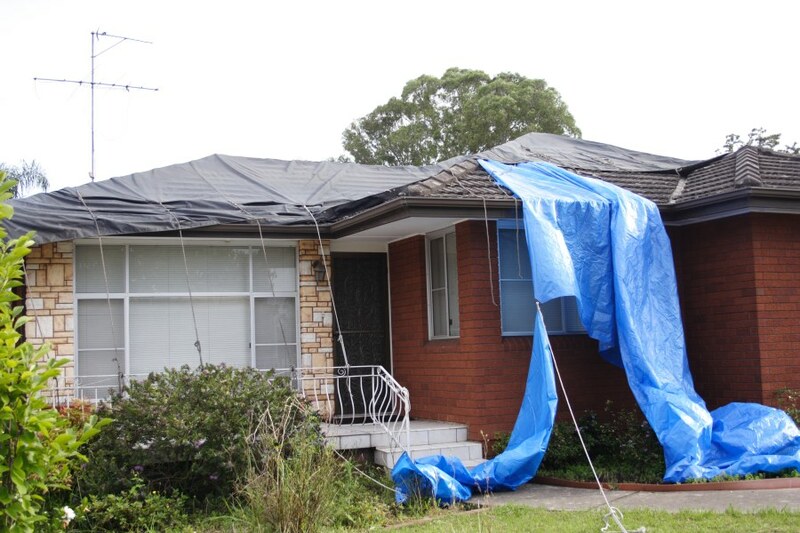 Roof damage is also a feature as roof tiles are cracked or shattered under the impact from these hailstones.